Really, the time has come to put an end to this absurdity. 1. The right to levy taxes: The U.S. is claiming the right to levy taxes on people solely because they were born in the U.S. Yet nobody has a choice where they are born. As a matter of fact, those who were born in the U.S. and continue to live in the U.S. are part of the U.S. community and are the recipients of the benefits/burdens of living in the U.S. Those who never lived in the U.S. and don’t live in the U.S. are entitled to none of these things. Furthermore, as the comment states, this person NEVER thought of herself as American, NEVER held herself out as an American, and NEVER has attempted to claim/use any of the supposed “benefits of U.S. citizenship”. Yet, the U.S. claims both the legal and moral right to levy taxes on this person who does NOT reside in the U.S. and does not have income associated with the U.S.
2. 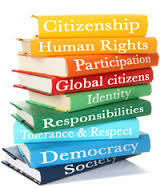 Citizenship as a bundle of rights and obligations: There is no one definition of citizenship. Much thought has gone into the questions of: how does one qualify for citizenship or how does one renounce citizenship. But, very little thought has focused on “what is the meaning of citizenship”. A google search reveals many different answers to the question of what is citizenship. There is no one definition of the meaning of citizenship. (See for example Mr. Mopsick’s difficulties with defining the meaning of American citizenship). But, all definitions of citizenship include an acknowledgement that citizenship includes both rights and obligations. At certain times citizenship has been defined more in terms of obligations (think conscription in World War 2) and at certain times more in terms of rights. At the present time, the U.S. is attempting to define citizenship more in terms of “obligations” (think FATCA). That said, if “citizenship” doesn’t offer some rights, it cannot be citizenship. This commenter has no engagement in and is no way part of the “community of Americans”. Her “rights” are no way tied into the “rights of Homelanders”. She has no connection to the United States. She is at most, by virtue of an accident of birth, a citizen in a legal citizen. She is NOT a citizen in any moral sense. 4. Citizenship includes “membership” and citizenship should include the right to NOT be a member: There is and should be a difference between citizenship and slavery. The right to membership in a community should include the right to NOT be a member of a community. For adults, the right to expatriate is part and parcel of the right to citizenship. Those who are born in the U.S. and leave the U.S. before becoming adults should be required to “opt in” to U.S. citizenship. An “opt in” is necessary so that U.S. citizenship is substantive and meaningful. In the past, U.S. citizenship laws (See for example former INA S. 350) have required U.S. citizens born abroad, or dual citizens from birth, to affirm their ties to the U.S. in order to continue to be a U.S. citizen. In other words, where there is no connection to the “American community”, citizenship should not be defined solely in terms of the “circumstances of birth”. The outcome of your life should not be the result of the circumstances of your birth. States also currently have the power to explicitly limit the franchise. Current data shows states have chosen to deny nearly five million American citizens the right to vote because of felony convictions, including millions who have completely paid their debt to society. Some states even deny certain classes of overseas voters the right to vote. It’s clear that this commenter has no right to vote in U.S. elections. She is denied one of the fundamental attributes of citizenship. Yet, the U.S. expects her to pay taxes. Clearly, this person is not a U.S. citizen in any moral or meaningful sense. Unless she moves to the U.S. she is not entitled to vote in the U.S. Unless she has U.S. source income she will never be entitled to Social Security of Medicare benefits in the U.S. (Yet, the U.S. expects her to pay for Obamacare pursuant to the new 3.8% Obamacare surtax). To treat this person as a U.S. citizen for tax purposes, when she dose not live in the U.S. and has none o the moral attributes of citizenship is simply wrong. 1. The practice of imposing taxation based solely of the accident of being born in the U.S., when one has no benefits of citizenship, is approaching the immorality of slavery. 2. No country should aid and abet the USA in facilitating its immoral practices. The United States of America – that so called “great citadel of freedom and justice” – is using the 14th amendment (a provision to end the effects of slavery) to force the payment of taxes without the full benefits of citizenship. Canadian citizens, resident in Canada, should at their request, be treated ONLY as Canadian citizens. This can and should be allowed by making a tax treaty election (similar to the election available to Green Card Holders). The time has come for the rest of the world to forbid the United States from levying taxes on people who do NOT live in the United States on income not earned in the United States. It’s obvious that this commenter does not believe she is a U.S. citizen. It’s obvious that the U.S. has no moral right to levy taxes on her. People wishing to sever their citizenship ties with the U.S. are required to complete Form 4079 which is a questionnaire to determine U.S. citizenship. It asks about the payment of U.S. taxes. If this commenter files a U.S. tax return or applies for a U.S. Social Security number, is she agreeing that she is a U.S. citizen? Through FATCA, the U.S. is pressuring people to take affirmative steps that are indicative of a belief that one is a U.S. citizen. Can the U.S., use the 14th amendment to force the unwanted obligations of citizenship, on “border babies”? This entry was posted in Are you a U.S. citizen?, Citizenship-based taxation, U.S. freedom, U.S. tax issues and tagged 12 years a slave, citizenship-based taxation, U.S. slavery on March 26, 2014 by renounceuscitizenship.